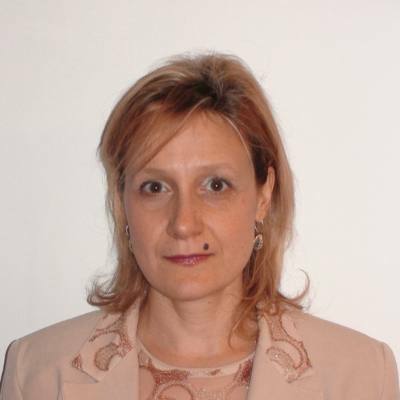 Ms. Mihaela Kerezova, is the President and Owner of IMMIGRATION PATHS based in Toronto, Canada. She is fluent in 7 languages and has an extensive experience in dealing with all immigration programs. Ms. Mihaela Kerezova, is the President and Owner of her Immigration Law Firm IMMIGRATION PATHS based in Toronto, serving both inland and out of Canada clients. She is an immigrant herself, who is fluent and has working knowledge in 7 languages, among them Chinese, Russian and English – which are among the official languages of UN. Ms. Kerezova has extensive experience in dealing with various complex immigration and legal matters, among them: applications under all federal and provincial programs, Immigration Appeals, Refugee and Admissibility Hearings, Detention Reviews, Humanitarian and Compassionate and Business-Entrepreneur Applications. Her company IMMIGRATION PATHS provides full scope of immigration and auxiliary services where Ms. Kerezova successfully represents her clients, employers and businessmen from all over the world in achieving their personal and business-related immigration goals. Ms. Kerezova is educated both in Canada and internationally. She holds two Masters Degrees – one in “Asian Studies/Chinese Linguistics” from the St. Petersburg University in Russia and, one in “International Relations” from the University of National and World Economy in Sofia, Bulgaria. In addition, she obtained her Immigration Diploma and graduated with Honors from Herzing College in Toronto, Canada. Ms. Kerezova had specialized at the Beijing University-China and Meiji University in Tokyo, Japan. Ms. Kerezova practices in the immigration field both in Canada and internationally. Her professional experience includes work at the Embassy of Japan in Bulgaria and, at the Bulgarian Embassy in Beijing, China. Between 2008-2013, she worked on a Government Contract at the Immigration and Refugee Board (IRB) and Citizenship & Immigration Canada (CIC) and, after that, she started her own immigration practice. Her Company is appointed as the official Bulgarian language service provider by the Public Works and Government Services Canada (PWGSC). She is also an Accredited Translator-Interpreter by the Ministry of Attorney General of Ontario. As a Regulated Canadian Immigration Consultant (RCIC), Mihaela is Member in good standing of the Immigration Consultants of Canada Regulatory Council (ICCRC) and, proud Member of CAPIC (Canadian Association of Professional Immigration Consultants). Between 2014-2018, she served consecutively on the Education & Training Committee and then, on the Lobbying Committee of the Ontario Chapter of CAPIC. In the period between 2012-2013 she was the Vice-President on the Board of Directors of IMINTERA (Immigrations Interpreters Association) and current Board Member of CBBN (Canada-Bulgaria Business Network).